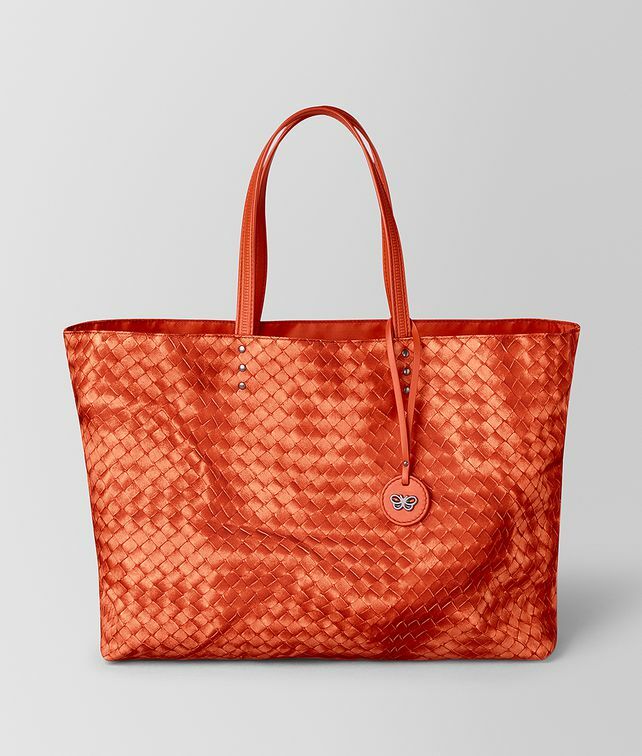 This lightweight tote is crafted from technical Intrecciolusion fabric, designed exclusively for Bottega Veneta. The rich, shaded print is created from unique combination of tonal colours. The horizontal tote is lined in monochrome fabric and accented with a feminine leather butterfly pendant and logo tag. Finished with slim leather handles and brunito hardware. Width: 43 cm | 17.13"